On the anniversary of Trungpa Rinpoche's arrival in India, Carolyn Gimian looks back over the past 50 years. 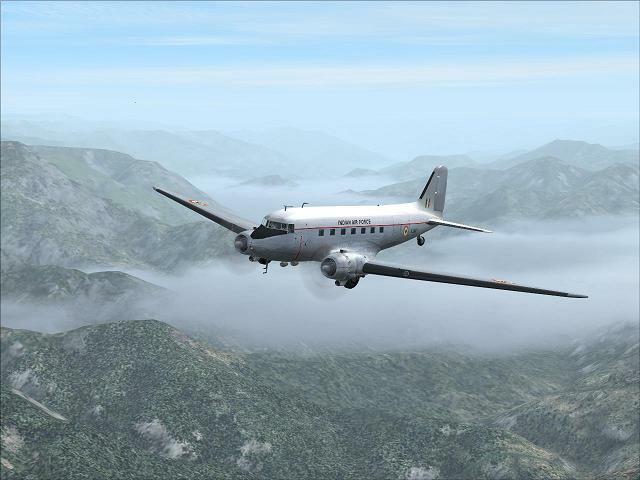 This Douglas C-47 Dakota of the Indian Air Force, shown here flying over the Himalayas, is almost certainly the type of aircraft which Chogyam Trungpa boarded on January 24, 1960. Image by Grant MacLean. 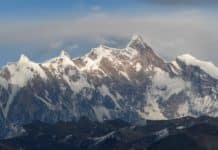 Fifty years ago, January 24, 1960: Chogyam Trungpa was on an airplane, his first ever, carrying him from the edges of the Himalayas into the heart of India. His escape from Tibet was complete. His journey to the West was just beginning. Fifty years ago, January 24, 1960: Where were we, his many heart disciples? Some of us were yet to be born. Most of us were children. Few of us had ever heard of Tibet. His journey was going to change our lives, but we were totally unaware of that. 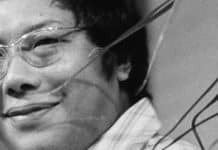 Forty years ago, January 24, 1970: Chogyam Trungpa was living in England. He had just married Diana Judith Pybus, and they were thinking about coming to America. Rinpoche had arrived in England in 1963, where he had studied at Oxford University, and then started the Samye Ling meditation centre in Scotland. In 1968 he had returned to India and visited Bhutan, where he received the terma text The Sadhana of Mahamudra. Forty years ago, January 24, 1970: Where were we, his many heart disciples? A few of us were already his students in England. Many of us were part of a political and cultural counter-culture movement in North America. We were seeking change. When he arrived in America, our lives were going to change forever. We were largely unaware of that. 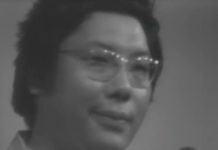 Thirty years ago, January 24, 1980: Chogyam Trungpa was well-established as one of the most influential Buddhist teachers in the West. He had published a number of books, several of which were bestsellers and remain classics today. He had conducted the first Vajradhatu Seminary in 1973 and had close to 1,000 Vajrayana students. He had founded Naropa Institute in 1974. 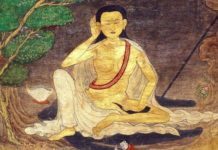 He had conferred the Vajrayogini Abhisheka on more than 100 students. He had taken a year’s retreat to see how his students would do. He had appointed his close student, Thomas Rich as his Vajra Regent Osel Tendzin. He had appointed his eldest son, Osel Rangdrol Mukpo, as a future Sakyong. He had launched Shambhala Training. His buddha activity was changing the face of America. We were well aware of that. Thirty years ago, January 24, 1980: Where were we, his many heart disciples? Some of us had not yet met him. Many of us were committed to him as our teacher and vajra master. We were already spreading the dharma on his behalf throughout North America and beyond. We were doing prostrations, going on retreat, getting married, having families, studying the Shambhala teachings, going to feasts. Our lives were transformed. 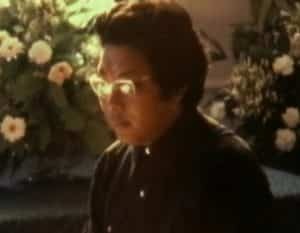 Twenty years ago, January 24, 1990: Chogyam Trungpa had passed into parinirvana a little more than two years ago. There were plans to construct eight stupas dedicated to his memory. The foundation and the first walls of the Great Stupa of Dharmakaya at Shambhala Mountain Center had already been built. Twenty years ago, January 24, 1990: Where were we, his many heart disciples? Hundreds of Rinpoche’s students had moved to Nova Scotia in the years following his death. The Vajra Regent was gravely ill. The governance of Shambhala was in disarray, but the core of our practice and devotion was strong. It was a tough time. Ten years ago, January 24, 2000: The finishing touches were being put on the Great Stupa, and preparations were being made for the Consecration of the Stupa in 2001. Chogyam Trungpa’s books continued to be bestsellers, published in more than 20 languages. Ten years ago, January 24, 2000: Where were we, his many heart disciples? Having been empowered as Sakyong in 1995, Sakyong Mipham Rinpoche had been the president of Shambhala for almost ten years. We were still conducting Shambhala Trainings, Vajradhatu Seminaries, doing ngondro, going to feasts, raising families, spreading the dharma in Shambhala and within many other sanghas throughout North America and beyond. Today, January 24, 2010: What would we say today, his many heart disciples? Chogyam Trungpa Rinpoche changed our lives; he changed Buddhism in the West. Most of us are still here. There is still much to do. How can we repay the kindness of the father guru? In 1950 I was 5 years old. My mama was a very busy secretary to Ginger Rogers and a Christian Scientist, like Ginger, in L.A. Because mama had divorced my father when she was pregnant with me, I was mostly raised by grandma Ida, a former school teacher, from whom I learned much more than from the various school I attended as we moved about L.A. In 1960 I was a student in a girl’s school, living with my now stay-at-home mother and new step-father since the death of my grandma. Everything seemed beige, like the interior of a modern bank. Christian Science didn’t make sense to me, my step-father was a John Bircher fanatic and seemed amgry all the time, and homelife was slightly miserable. By 1970 both my mother and step-father had died. I had graduated from the University of Oregon with a BA in English and Hst., had been involved in many peace marches in San Francisco and Seattle, had done my share of tree hugging in Eugene and participated in many “Be-ins”, including one in which I heard Allen Ginsberg sing the Heart Sutra on his little accordian. It stopped my mind. I couldn’t make sense of it but knew that it pointed to a whole world to which I was ignorant. Enroled in the University of Washington in Seattle, I kept going on leave to join a circus, hitch-hike in Mexico, read Milarepa’s 100,000 songs, learn yoga and tai chi, and generally wander while searching. I picked up Born in Tibet at the Seattle ferry terminal to Bainbridge Island and reconnected with a U of O prof now living in Frisco who kept telling me about this Rinpoche who was young and had a young community in Boulder that I would really like. 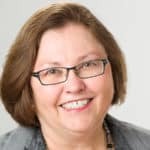 In 1980 I had moved to Boulder, become a delighted student of Trungpa R., married, had a 6 year old son, was just about to divorce, was volunteering at Vajradhatu in the 3 Yana office and as tantra secretary, was finishing prostrations, beginning mantra and the Shambhala Levels. I loved Trungpa R., was magnetized to his brilliant teaching, and felt at home with his bright and lively sangha. In 1990 my son Waylon and I had moved to Karme Choling after Rinpoche’s parinirvana. I was working in the Practice and Ed Office, teaching buddhadharma and directing levels, leading dathuns, staffing fire pujas, doing at least a month long retreat every year, while Waylon was attending St. Johnsbury Academy. 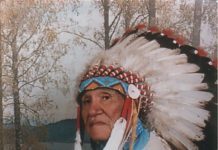 He was also sitting dathuns and by the time he was 16 had graduated from Warrior Assembly. He had a passion for the kasung. The Vidyadhara seemed very much alive, still permeating our lives in different ways. In 2000 I had just left 4 months of teaching Shambhala Buddhadharma in New Zealand and was in Nepal studying Tibetan and the uttaratantra shastra at Pullahari for two months. I was between Year 1 and 2 of 3 year retreat. Waylon had graduated from the University of Boston, was finished working at Shambhala Pubs there, and was now working at the Shambhala Mountain Centre. Khenpo Tsultrim Gyamtso R. was teaching yearly each summer on Mahamudra, Ati, the Six Dharmas, and Hevajra at Karme Choling and I found that he filled in the blanks or enabled me to practice all that the Vidyadhara (and Thrangu R. on 3 year retreat) had pointed out. Because he had done all the practices as a genuine yogi, his one on one interviews were extremely helpful and insightful. And because Khenpo R. and Thrangu R. had absolute respect for the Vidyadhara and his methods, I felt the Rime lineage continuity. Now in 2010 I have simplified my life to just working as receptionist at the Halifax Shambhala Centre. I teach, direct, coordinate, and staff programs here, and am blessed by the availability of so many feasts: Padmasambhava, VY, Chakrasamvara, Vajrakilaya, Werma, Avalokiteshvara, and KTGR’s Sadhana of Mahamudra. And it seems we shall be reviving the Sun of Wisdom feast. Waylon has had his own magazine, elephantjournal, for 9 years, the last 3 on-line only, and I have submitted more than 15 lojong articles to it. He still lives in Boulder and feels at home there. 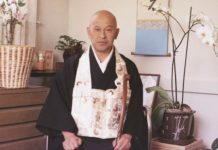 He is very active as an engaged buddhist, concerned with ecology and how to promote a more mindful life. He considers the Sakyong his teacher but has great respect for the Vidyadhara from whom he took bodhisattva vows in 1985. 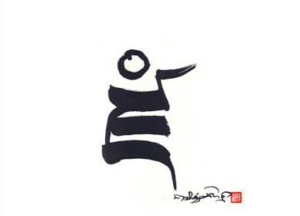 I am now beginning to study more with the Sakyong through his Scorpion Seal teachings and am connecting to the werma sadhana in a more profound way. In every way I still feel a part of the expansive world the Vidyadhara opened up and my gratitude for all he has given us increases every day. I was nineteen at that time. I had certainly heard of Tibet, and I don’t think I was unique among educated nineteen-year-olds. Probably more to the point is that I probably did not at that time understand what was going on in Tibet. I find the answer for to be practice the original instructions, as practicing the dharma in every waking moment. I am a lowly practioner who does find humbleness as my teacher in a thousand forms. Carolyn, Very provocative. Very cool. Trungpa Rinpoche describes the aircraft in which he flew from Tuting village on to the Indian plains as used for cargo. It was almost certainly a Douglas C-47 Dakota of the Indian Air Force, which used it as its main transport aircraft for four decades from the end of WWII. It would have been used mainly to supply the small military garrison whose commander so generously hosted Rinpoche after his arrival in India. Affectionately named the "Gooney Bird" by US pilots, it was known in British Commonwealth countries as the Dakota and, in its civilian version, as the famous DC-3 -- widely recognized as the most successful passenger plane ever flown. Designed in 1934, over 2,000 aircraft still provide good service around the world today. 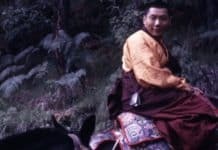 During the last five weeks of his escape from Tibet (December 15, 1959 - January 24, 1960), Trungpa Rinpoche made almost daily entries in his diary. Here, reprinted from Born in Tibet, are those entries.